In what is one of the most disturbing developments in quite some time, 6 Arab nations are leading the charge in a proposal to the United Nations declaring the Western Wall part of the Al-Aqsa Mosque, subsequently labeling it a Muslim site. Personally I could care less whether they think it is Muslim or not, what concerns me are the potential dangers this proposal creates, and what angers me is the immense disrespect this shows towards Jews all over the world. Although it’s been far too many years since my last visit, I am fortunate to have been at the Western Wall, the “Kotel”, more times than I can count. For these antagonists using the Western Wall as a political weapon, the Wall is nothing more than a place representing Jewish existence, something appalling to them. For Jews the Kotel is more than just a wall. It is home. It’s the only place I’ve ever been where it felt to me as though everyone felt the same intensity and deep meaning. It’s just a wall to some, but to a Jew who believes in God, it’s a portal to the heavens. 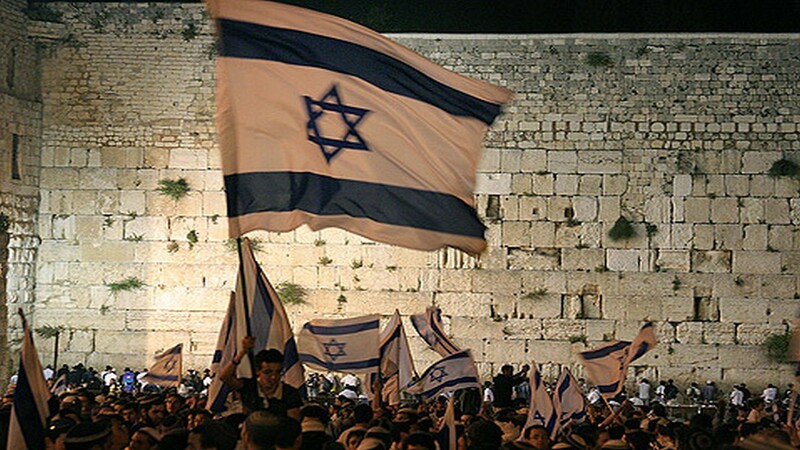 The Kotel can never be taken from the Jewish people, of that we must be certain. My more immediate concern is the violence this political maneuver will incite. If this causes nearby Palestinians to feel empowered to possess the wall, serious violence will threaten the holiest place in the world for the Jewish people. But who do they think they are kidding? Violence is their goal. Incitement their intention. To Israel’s opponents this feels like checkmate. Well it’s not. It is most certainly check, but for those who play chess, one of the most certain ways to lose is through over confidence. It is my hope that this wakes up the Jewish people worldwide and that the Israeli government makes very clear that the Western Wall is not open for discussion. Otherwise we may not be far from checkmate. With all the land and all the so-called holy places the Muslim people have, for any one of their leaders to suddenly at this time make a move for Israel’s holiest site is not about devotion to God or religious practice. What this is about is blatant disrespect for the Jewish people, and anyone in power who remains quiet, certainly anyone who supports it, is an accomplice to this unconscionable slap in the face to all Jews worldwide, and for anyone to tolerate it would be to open the door to a greater tragedy. Let it be known, when you F**k with our wall, you F**k with us. I am not a hero. Nor am I a military man. I am however the son of Holocaust survivors. I am not merely comfortable, I am compelled to stand up in front of people and say that the Jewish people will no longer be pushed around and expected to capitulate to the demands of those with no regard for our safety and well-being. I know that many Jews of today feel as I do. We may or may not be great fighters, but in a larger number than maybe any time in our history we are, as a group, prepared to stand up and declare that the days of Jews being victims are over. As we do so today we do so with a leader who represents that attitude, not just for the people of Israel, but for Jews worldwide. That leader is Israeli Prime Minister Benjamin Netanyahu. I am very aware of the fact that not everyone feels that “Bibi”, the nickname Netanyahu is often referred to, represents them, but to millions of Jews worldwide he represents us in a way I have not seen in my lifetime. Jews tend to be divided. It must be in our DNA. However, for as long as I can remember the division has been based more on religious observance than on political viewpoints. What Bibi does is transcend that divide by often making it about neither one of those factors. 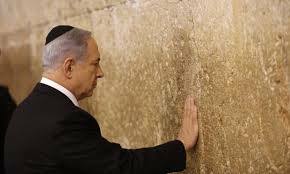 In being what is clearly a proud Jew, evident by being someone who goes to the Western Wall to pray after an election victory, Bibi makes us feel that who he is and where he comes from is as important to him as it is to so many of us. When speaking about the security and safety of the Jewish people he does so in a way we know that the majority of Israelis would agree with. Politically many might not agree with his methods, and many don’t even like him personally, but I have no doubt that most if not all want Israel to be safe and secure. What Bibi does when he speaks is give the Jewish people a sense of unity and I dare say even nationalism. I know some of the strongest haters of the Jewish people and Israel see our nationalism as the problem and even racist in nature, but they conveniently forget that it works in conjunction with an Israeli government with many Arab citizens being represented politically in a free and democratic society. Are there any Arab nations that can say the same? Today, with Benjamin Netanyahu’s leadership, more and more people are willing to stand up and say, Israel is our country, but even more significantly stand up and say, we as Jews will no longer be doormats. I know there are many of us who might not put up a significant fight on a personal level, but with the power of the numbers behind us we have the courage to stand up as one. The importance of leadership in making people feel this way is more that significant, it’s critical. I know I am not alone when I say Bibi empowers me to feel that way as a Jew. I go back again to the conversation I once had with my mother who is 93 and a Holocaust survivor from Holland who once told me that today reminds her of 1938. I challenged her on that statement saying that today is different because we have the State of Israel. I would add that today is also different because of one other reason. We have Benjamin Netanyahu. I commend the people of Israel for making the right choice, and hope to see Bibi lead all the people of Israel to a safer and more secure future.